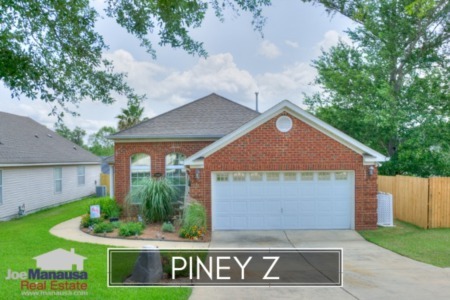 Southwood is the most active neighborhood in the SE Tallahassee real estate market. 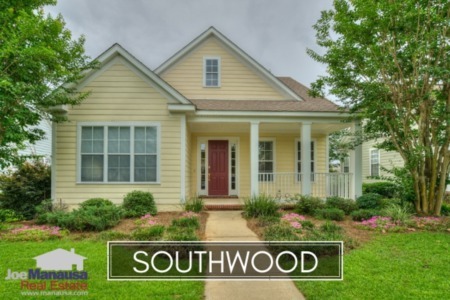 Southwood appeals to many demographics, and it currently offers homes for sale across many popular prices ranges for Tallahassee. Average home prices in Southwood moved 2% higher in 2017 versus the average posted for the 2016 calendar year. Currently, the average Southwood home price is $326K, and it is important to note that high end sales (those above $600K) are finally picking up (take a look at the table of home sales at the bottom of this report, 5 homes above $600K sold in the last 75 days of the year). Activity in the Southwood housing market remains steady, and inventory is moving. 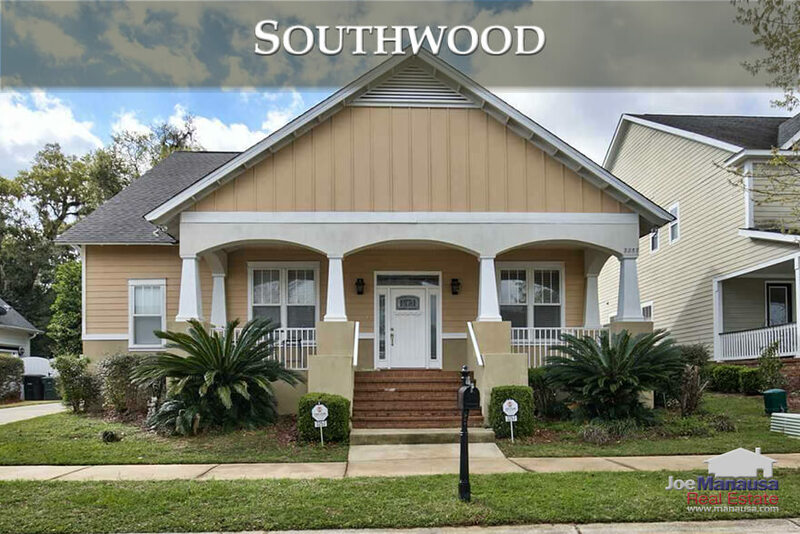 Currently, there are 42 homes for sale in Southwood, and 13 are under contract. Two of the ten new homes are under contract, while 11 of the 32 existing homes have contracts in place. Average home values moved more than three percent higher in Southwood in 2017 when compared to the average in 2016. Most neighborhoods in Tallahassee appreciated at a much higher rate in 2017, but one has to consider why this is so. Over the past ten years, very few neighborhoods had much new construction going on. Southwood was one of the exceptions. This means that the inclusion of new homes in Southwood kept averages higher, whereas most other neighborhoods were merely resales that declined with the market. Thus Southwood appeared to maintain values at a higher level when the reality is that existing home values had fallen further. Similar results can be seen in Bull Run, another Tallahassee subdivision with new construction soaring over the past ten years. In 2017, the average value of a home sold in Southwood was $151 per square foot. The average home size sold in Southwood falls in a range of 1,900 to 2,300 square feet, and 2017 was no different. The 161 homes sold in 2017 averaged 2,134 square feet. 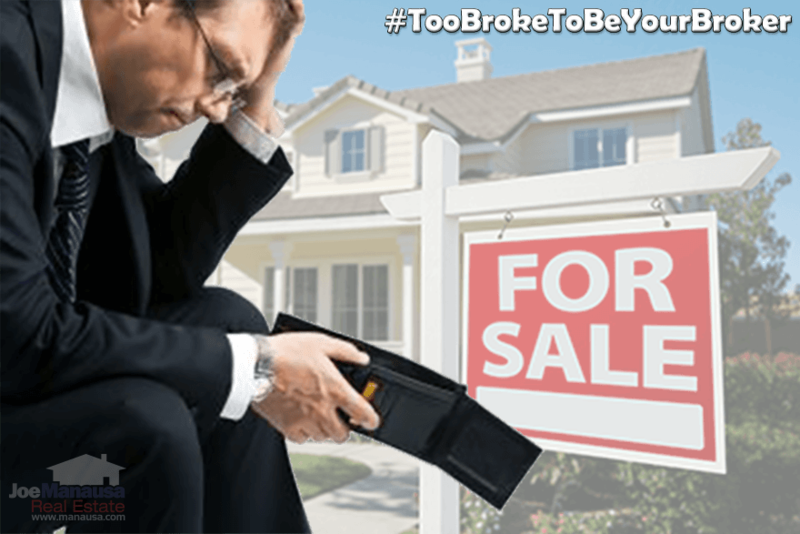 This concludes our January 2018 update on home sales in Southwood, please give us a call at (850) 366-8917 or drop us a note and let us know how we can help you with your housing needs.